Having a superb product, soaring sales and stupendous customer service are undoubtedly some of the things which go into making a successful business. But all of this is irrelevant if you suffer a financial crisis. Without a sound stable financial position the slightest shock can be enough to send your business crashing to the ground. So what can you do to ensure that all your hard work is not in vain? What can you do to make sure that a financial crisis doesnt rock the boat or even sink it? Lets take a look at what can cause these jolts and, more importantly, what you can do about it. Business owners are usually not good record or bookkeepers! People who start businesses are the ones who have great ideas, see a gap in the market or have the personality to sell anything. If you are to keep your business on the straight and narrow then you have to accept that there are going to days like this; you cant avoid it. You must keep records of your sales, your purchases, how much you have, how much raw material or finished goods you hold. You wont know where all your stock is  has someone stolen it? Who knows? You are effectively working in the dark and this is not conducive to financial stability. So what sort of records are we talking about? Nothing sophisticated. It can be as simple as a book with one page for your income and another for your expenditure. At least once a month total it all up to see how money you have made (I hope!). Theres a saying. The people who keep records are the people who break records  so true. Do you know exactly what your bank balance is today? Why is it important? Because if you are going to write a cheque you must know whether you have the money on your account. If you dont that nasty Bank Manager may just bounce it. Obviously this can have a negative effect on your reputation; your credit will be damaged and you may struggle to get support from your Bank and suppliers in the future. All because you didnt check what your balance was. Closely linked to keeping an eye on your Bank balance is how you handle your cash flow. 2. If you are doing business-to-business sales then you may be faced with having to sell on credit. If so then be disciplined in chasing up any outstanding payments. You cant afford to be embarrassed about asking for a cheque. If you have agreed 1 month credit, why wait for 3 months? Chase as hard as you can because remember you have your own debts to pay! 3. You may be lucky to have a period of credit granted by the people you buy from. If they give you one months credit, then stick to it. If you decide to hold onto your bills before paying you may be faced with a Solicitors letter. Dont ignore the problem and hope the phone calls will go away - they wont! Running your own business can be a very powerful feeling! You may be tempted to spend on anything but the business  a new car, flash clothes, a new kitchen. Well, you have to look the part dont you?? You have to be disciplined in your expenditure and ask yourself the question, Will this cost add anything to my business?. Dont act on impulse; go away and think about every large expenditure. If the answer to the question is no, then you should think twice about spending. Failing to make the necessary cuts to ensure the survival of your business is something you cannot afford to do. If you spot you have a problem do something about it! Dont sit back and hope things will get better; the chances are it wont. If you have product or service which is not performing and its costing you money dont try and dress it up  be ruthless and cut it out. Make your decision quickly; dont hang about. Not acting fast will only compound the problem. One good financial discipline is to have a budget. At the beginning of each year sit down and, based on your previous years income and expenditure, set new targets. Look to see where you can cut back in expenditure or even what to cut out all together. Having a budget will provide discipline to your expenditure. At the end of every month up date it by including your actual income and expenditure then compare your budget with the actuals. Going through this exercise will give you more focus and what your business is doing. It can help you put things right by highlighting the problem areas. What is your if? What if you lose your premises? What if your computer goes down? For a small business the biggest risk is you! What would happen to your business if you fall ill or even die? 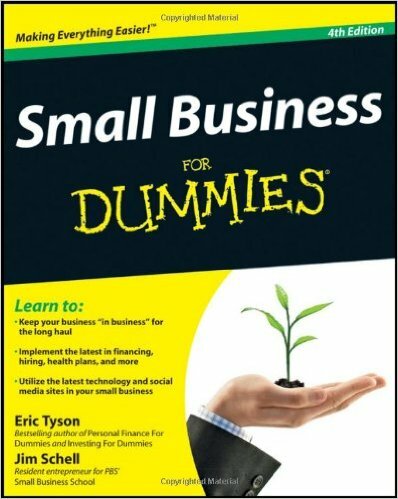 Most small businesses are totally dependent on the owner. You do everything! If you are ill enough for one or two months that you cant work who will see to the customers? Who will get new ones? Who will see to the paperwork? Who will collect the money owed to you? These are important questions you must answer now. You have to identify someone who could fill in for you if you are to avoid a potential financial crisis. Your next step is to write a manual on how your business works, and outlining all the key processes. If something does happen then at least there is a path to follow! The Bank Manager is usually the first person you should speak to. 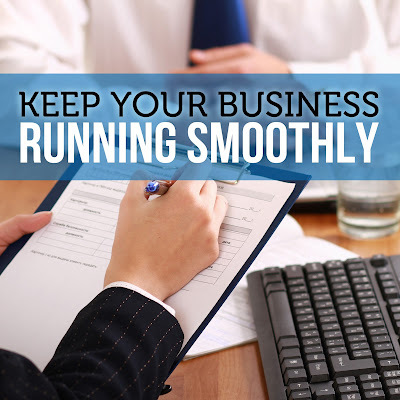 Bank Managers like to be kept up to date with what is happening in your business. They dont like surprises. Its when they are kept in the dark they make decisions that can have a major impact on your business. Financial problems can usually be avoided by taking a step back from the business and thinking about what can go wrong. Once you know that, then you can take actions to put preventative measures in place before its too late.